Sometimes the less you how is better! 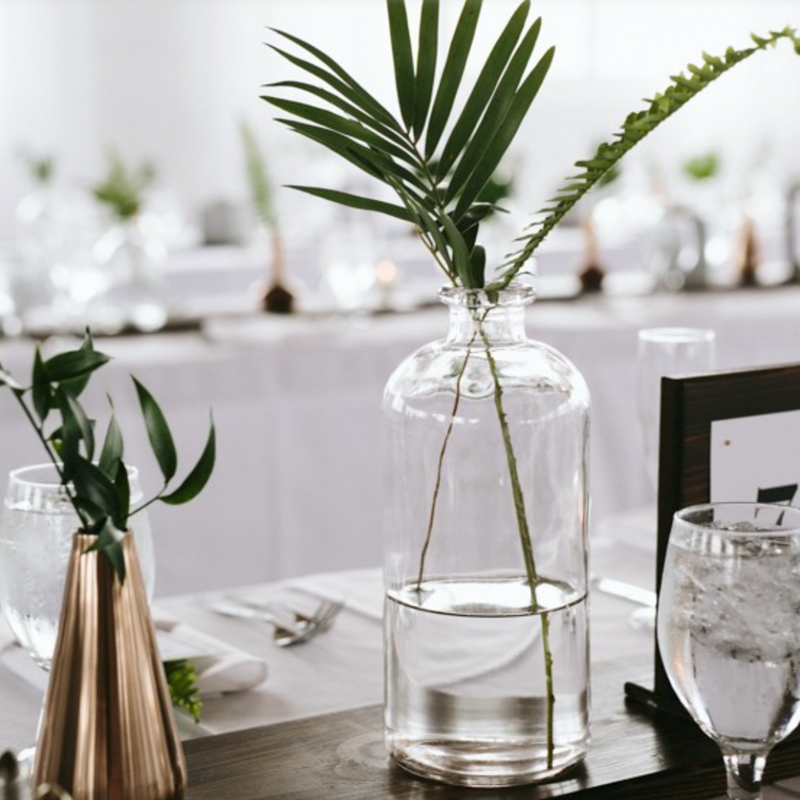 Minimalism is an amazing style that is for those who love a good simple colour or style and would like to show it all over the wedding or event you are hosting! Having a minimalist wedding is very easy you really just have to stick to one colour, usually white. To pull of the minimalist look you need to have as little as possible or make it look like there is as little as possible out (make it deceivingly detailed), there can be cute decor like lights and florals but mainly just one colour of floral, the trend in 2016 so far has been to use green and greenery around, lots of succulents, lots of geometric holders and containers to fill the table spaces with. There has been a trend of having clear glass as well, there is a way that you can make the table look flawless by adding a little amount of decorations and just making it personal. The overall appeal of the wedding has to be minimal if you are going to try to achieve this. This can also be cost effective, you wont have to buy as many supplies to create the biggest wedding ever. 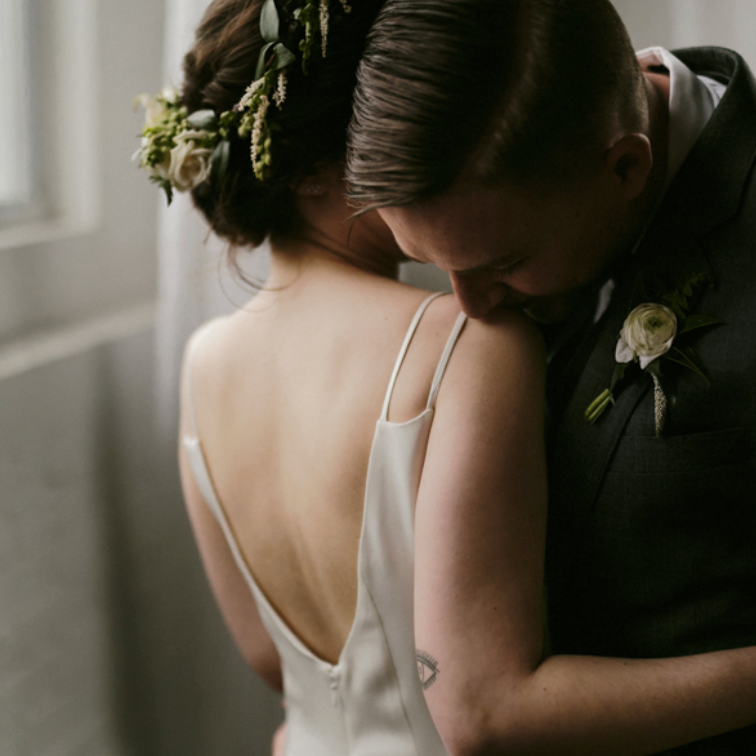 With the brides and grooms you can also achieve the look of minimalism with simple dresses and colours, a simple tie or bow tie for the men is perfect and thats all you need! For the bouquet you can keep it to one colour, maybe a pop of colour or just even a simple white bouquet with hints of another colour from your wedding in it would be perfect! The hair styles and trends of the times can also make a big influence on what you consider to be minimalist. The simple tied back hair with a detailed piece in it could be perfect for the whole attire! It depends on what type of look you are going for and it really is a person preference, you have to be in love with your day, don't try to impress anyone else!